Posted on October 26, 2018 by Andy Higgs in Europe, Features, Norway, Places. At the time of tapping this out I’d been living here in Trondheim, central Norway for the best part of 14 years. I’ve now been here nearly 20, and decided to revisit this classic post before I write more on this subject. Do you accept that dinner is eaten at 4 p.m.? Do you consider rice pudding to be a main course, not a dessert? Do you consider skiing to mean cross-country, not downhill? Do you take your shoes off whenever you go into someone’s house? Have you stopped converting all prices back into pounds and then nearly dying of shock? On that basis I feel I am eminently qualified to impart some pearls of wisdom and unusual facts about Norway and its lovely people gained during my years up north. You do start thinking and dreaming in Norwegian. It’s true. I remember our German teacher telling us that this a sure sign you had turned the corner when learning a new language. I was 13, disliked German, disliked the teacher even more and absolutely did not believe her. I’m sorry for doubting you, Miss *****. You actually can get to like brown cheese. Perhaps even harder to believe for ‘outsiders’ trying it for the first time, but let me say this: if my Norwegian wife can get to like Marmite, you can get to like brown cheese. Just don’t think of it as cheese. You can walk diagonally over crossroad junctions. You can’t just spontaneously go and buy a bottle of wine. Despite all the restrictions, the streets of every major town in Norway resemble the ‘Night of the Living Dead’ when the clubs and bars close. In England, if a public holiday falls on the weekend you get the Monday off instead. Not here. There is no such thing as ‘going out for a drink’. Many years ago I made the mistake of inviting two people from the restaurant I worked at ‘for a drink’ after work. Within fifteen minutes it had escalated into an all-night session with about 17 participants. There is no ‘soft’ drinking culture or pub tradition, and only a minority drink sociably or because they actually enjoy it. Or at least it seems like that. And don’t even think of taking your children to the pub on a Sunday for a family outing. You get paid a lot. Yes, you do. My hourly wage for making pizza was higher than some middle management friends were earning in the UK. But it is more expensive of course. But you still get paid a lot. Maternity leave can be a year (a YEAR) on 80% salary or 10 months on 100% salary. Sick leave can last 12 months if necessary and my total deductions are less than in the UK. Shh! Packed lunches are thoroughly depressing. The Norwegians will whip out a ‘matpakke’ (packed lunch of sandwiches) pretty much anywhere. It’s a strange tradition in such a rich country, but starts early (few schools have canteens). I guess it’s a good thing, but sweaty cheese on limp bread in a plastic box that’s been festering half the day should only be for emergencies. The Norwegian sense of humor is very close to the British. And generally very good. Obviously I’m generalizing about both and just like in England there is of course a dividing line between run-of-the-mill and alternative – or good – comedy. Get on the right side of the line and you’ll be fine. Not everyone has a cabin and a boat. 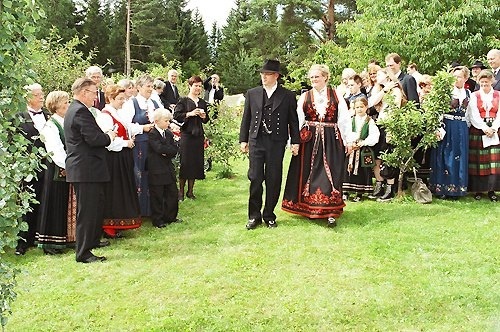 People really do wear the bunad (Norwegian traditional costume) although not all the time. Yes they do, especially on 17th May (Norway’s national day) and for other major events like weddings, confirmations etc. And there is a version for men, which I am told would suit me. That’s not going to happen. The paper boy comes early, but the postman comes late. It’s cold quite a lot. It’s way warmer than you’d expect too. And it’s true what they say, at least to an extent: “There’s no bad weather, only bad clothing”. Yes, that sounds better in Norwegian. I could go on, but I’ll leave it there for now. A follow-up piece is surely on the cards, probably before too long. I believe Norway should be on every traveller’s list for both its culture and scenic beauty. You can even find some ready-made holiday packages on Cleartrip. Here are some coupons that you can use to get discounts. What have I missed? What have I got wrong? Probably plenty on both counts, so let me know by adding your comments! What have you found is the best way to learn the language? Before moving that is… I want to move to Oslo with my girlfriend (Mona Løkke, she says hi!) and want to have the best grasp of the language as possible before I go. Just for jobs I think. Mona thinks that it will be easier to get jobs in Oslo (even though I have fallen in love with Trondheim already!). 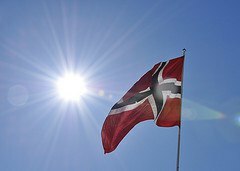 How easy/hard was it for you to get a job with limited Norwegian? How long did it take before you could hold a decent conversation in Norwegian? I think reading helped me because I like to have a mental picture of a word before I say it – and of course the bigger your passive vocabulary is, the easier it is to understand others, even if you can only say simply things yourself. You’ll be surprised how fast you can progress through age classified books. Don’t look up all the words, you’ll understand most of the important ones after a while (they turn up often) – overusing the dictionary just kills the desire to read – and in any case most books have an enormous amount of “fill”. When you finally hit a fairly “adult” level, go for titles that have been translated from English – the language is usually simpler. I’d recommend light crime / action at that point; Agatha Christie, etc. Stay away from comics, they’re tempting but there’s far too much slang. Well perhaps, but it depends what you want to do. Lot of high tech stuff here, not sure what you do but if you just need to get working the restaurant business is the easiest, Mona can tell you all about that. I got a job with practically no Norwegian at all, not a problem. Then learned it fast through working and aforementioned tactics (also did brief language course when they were free here). I guess I was able to converse after a few months, everyone speaks English so you can always fall back on that in the early days. Great blog, reminds me of my son who now lives in Prague for the last 3years with his Czech girlfriend – he has found it difficult to learn the language as everyone, even in business speaks English to him but he is on a mission this year to change that… I have never been to Norway but of course love all those great “thrillers” coming out of the country, reading all of Jo Nesbo’s books at the moment. Years ago, I was in a partnership with one. We had not one thng in writing. It went on for several years and there was not a dispute about anything. His word was good. When a Norwegian is your friend it is for life. A great post! Reflects most of my “feelings” about Trondheim 🙂 I have lived here for a year now (in Trondheim) and it is very true what you wrote here. Really made me laugh and smile wide 🙂 Thank you!!! Thanks Masha! Glad you like it here, it really is a great place to live. You gave me a great laugh… 🙂 But most of it is true. Unfortunatly. I would like to comment on some few things: you tell us not to think of brown cheese as cheese… it is NOT a cheese. It is maid from the remains when cheese is maid. So all the cheese is gone. :-)It is only whey left. And the mail cant be delivered before it arrives in Trondheim… or anywhere else in Norway. It is transportet during the night. Do you get your mail in the morning in Britain? Again.. thank you for finding out thing I actually knew, but never thought about. Thanks Merete, glad you enjoyed it. That’s true what you say about the brown cheese, but it is called brown cheese, right? Funnily enough in Britain or in the EU it probably would have to be called something else as it isn’t technically cheese. Still I love it, whatever it’s called! Yes in Britain the postman comes very early – where I lived the mail arrived before we woke up, about 7 a.m. Postmen start work at 5 a.m. in the UK; it’s not a job for everyone! It will probably all change though (my parents tell me the post comes later these days) given the competition from email etc. And you should really concider a bunad. Men are never sexier. It is so nice to hear that you guys have such positive experiences from this guitar shaped country. I live and grew up in Trondheim and even though i like vacations in the tropical parts of the world, i really love living right here in beautiful Trondheim. Did you know that Trondheim was originally named “Trondheimen”, and before that “Nidaros”..? When vikings ruled the land Oslo also had another name, wich was “Kristiania”. I personally think the older names were prettier. Don’t you? Thanks so much for your comment Stein Arve. Yes I agree about the names. I think Nidaros is a great one, maybe we should start a campaign to get them changed back? The original name for Trondheim is “Trondarheim”, simply meaning “The home of the Tronder”. The name was changed to Nidaros but later changed back again. Nidaros is still the name of the bishopric, however. The old name for Oslo is Oslo, which may very well be derived from the old norse word “Arslo”, meaning high plain. The word probably points to Ekebergsletta. When the townsip of Oslo was first establishet, Ekebergsåsen offered the township shelter from the north and the oldest ruins we have are found at the foot of the hill. Stein Arve Berntsen: I beg to differ. Oslo is the old name, period! Well, possibly it was called Viken before Oslo, but that is disputed. To begin with, the city was founded around 1048 by King Harald III. After the plague The Black Death, Norway became a failed state and became part of the Kingdom Denmark-Norway. Christiania is what the Danish King Christian IV called Oslo – after the city was rebuilt due to the great fire in 1624. Very long after the Viking era. From 1878 till 1925 Oslo (!) was called Kristiania, and then renamed itself again to Oslo. Walking diagonally over crossroad junctions: It really is very neat, but these ‘myldrekryss’ aren’t found all over the country. So far, I’ve only seen them in Trondheim and Tromsø. Really? I didn’t know that, thanks for the heads-up. That means we should be careful trying that trick in other towns then! Taxes are bad here – if you consider all the “hidden taxes” like VAT (25 % in general and 15% on food)and all the duties on beer, wine, spirits and cars. They say in the eastern part of Norway that what you think is the morning fog is actually steam from all the stills! “Heimebrent” (moonshine) is quite popular in rural areas – AKA Lilyhammer. Gammelost (literally old cheese) is a real cheese made from the curds, but not as popular as brown cheese which is reduced whey. I seem to remember that there are some diagonal pedestrian crossings in Minneapolis, but then they are all Norwegian there anyway. One more thing – Oslo was probably called Oslo in the Viking age. It was called Christiania after the Danish kings Christian when the Danes controlled Norway (1380-1814) – which they did not do in the Viking age. Have lived in the Stavanger area for just shy of 40 years. it’s so true, I am French and I live in Trondheim for a year and a half and you reflects very well life here. When I arrived what shocked me most was the fact of letting babies sleep in strollers outside when it is very cold, but now my daughter does and she likes it! Although today I did not even find my dream job (I’m a nanny, in France I was a manager of a restaurant!) I feel very good about this country and this city, with the people who for me has understood something very important, family life is their highest priority. These are all reasons why I love Norway, especially Trondheim. So thank you Andy! Thx Andy for an interesting read, as a Norwegian living in the same town, I value some insights from people who sees us from the outside. We somtimes forget that our kind of life nessecarily is not the only way to live, we are very well protected in our country from outside influence except that this has changed very much the last generation, and I`m glad it has opened up. The funny thing is that when you travel around in Norway you`ll see that people have some fairly different cultural upbringing; while our education- and political system tries to make us as similar to each other as possible. Standing out or being different has not really been appreciated and in certain areas of Norway the “Janteloven” is well webbed into its social structure. Thanks for an very interesting and insightful comment on the Norwegian society. I often find that these kind of comments tend to be exaggerated or too obsessed with particular details. This, however, is balanced. The mailman usually comes between 9 and 10 in the morning in Hamar, where I am from, so this clearly varies, but the size of the country and scattered population will explain some of it, centralized sorting of the mail will explain the rest. Thanks for your kind comments Christian, and I agree with your points. The national addiction to coffee is also worthy of mention – I think a Part Two for this article is on the horizon! Great reading, Andy. We’re a dual national family as well, and my son (studying in Trondheim) correctly surmised that I would enjoy the blog when he found it. I almost died laughing about your list of “are you integrated” questions! Christian’s list of extra “Norwegian typicals” is pretty on the ball, too. If either of you ever get the chance to listen to Pellegrino Riccardi on the cultural differences between UK, Norway and Italy, I recommend going. He’s very funny, and throwing Italy into the mix really brings out some of the points. Try & get a norwegian to take real responsibility for anything. Impossible. They’ll always form a committee or eventually blame something else. The guys in ‘3 in norway by 2 of them’ had it right regarding the norwegian labour force. The Vegvesen constructs roads with poorer quality that Nepal (I’ve been there & compared), and then sets speed limits that are too slow for even a funeral procession on a donkey. Most notably however must be that norway’s attempts to bludgeon all it’s problems to death with fistfulls of oil money, is match only by it’s society’s ability to squander it, resulting in a society that’ll be total screwed as soon as the oil is gone. Thanks Bjørn for you comments, glad you liked it. That’s true about having to introduce yourself – also something I noticed early on was that if I was with my wife and we met one of her friends, they would chat together without introducing the friend to me; I found that a little strange as I stood there not knowing who the person was. But it’s all part of what makes living in another country interesting! Thanks for your post. I’m an American who’s been in Norway for 18 years, the last 16 in Oslo (married to a Norwegian, 3 kids). I think I agreed with every one of your points 🙂 It’s a good place to live. Thanks for the feedback John and glad you enjoy life here as much as I do! The thing I first found funny when visiting was the selling of hot dogs in every news agent, every time I smell it now it reminds me of my first time here. The one thing I do miss is the pub culture we have back home, there’s always a cosy, welcoming pub in every nook and cranny we can just pop into for a quick pint with a friend for a chat or watch a bit of footy, or even have a decent meal for the family at a great price and have a garden for the kids to play in, but as you say when they go out to town, they go out to town. My first job was in a bar and it was either very quite or very busy. You’re right about the cultural similarities too – it’s easy to fit in but hard to learn the language unless you insist everyone speaks Norwegian to you – hard at first but you’ll get there. Have a great day (despite the weather right now)! Personally, I don1t care very much for the ordinary pubs in Norway. Even less for “Football Pubs”. I like a real English pub, but then in England (and Scottish pubs and pubs in Wales). They are perfectly situated as they are – and with pub lunches, they are perfect. Almost impossible to arrange in Norway – culturally and price-wise . . .
2. Most Norwegians aint back from home @ 4pm, I would push dinner time back to 1700. 3. Although you think our tax rate is low, you forget that we have fees on about everythink in addition to normal tax, thus making the taxation realisticly closer to 70-80 % of your income. 4. Although we dont get monday off if a holiday is on a sunday, we do actually have more vacation/days off then most other countries in the world. Hi Dan and thanks for your comments. Rice pudding is the closest translation for ‘risengrynsgrøt’ which is served as a main dinner course by every family I’ve been to, often on a Saturday and more in the winter, eaten with spekemat. Maybe I have strange Norwegian friends but they all seem to find this quite usual. Dinner at 5 pm is still quite unusual for us, but yes of course it is often pushed back. Every country has a mass of duties and fees, these are not income tax though as not every earner pays them (car licence fees, etc.) By this rationale every country’s tax rate is high, but I can’t really understand where you get 70-80% from. The oil fund issue is true, there is enough there for a while yet. But it’s a shame there’s not more focus on creating other businesses outside traditional sectors. There is way too much bureaucracy for start-ups here. Essentially norway is forced to invest, or the NOK would be instantly de-valued so as to be worthless due to it’s surfeit. 1. give a bunch of snivelling kids fresh out of school ridiclouslky high bonuses for fund administration even when ‘their’ funds lose huge amounts of money. 2. Invest in a 3rd world dictatorship, then void the debt when righteous norwegians complain about norway forcing eternal 3rd world debt. 3. Invest in ‘dirty’ industries like weapons manufacture, then void the debt when righteous norwegian complain about norway earning upon warzone kids. 4. Every time the government requires the fund to exist from a particular market, it is leaked beforehand and the exit time constrained, so that those share values plummet causing yet more huge oil fund losses. case in point… new example: http://www.vg.no/nyheter/okonomi/artikkel.php?artid=10064562 . Thanks for your comments Patrick, that was so interesting. I had no idea it was possible to serve in both national armies, and the idea of a tillitsman (employee rep?) was hilarious and typically Norwegian at the same time. I worked for the British Army as a civilian employee in Berlin for a couple of years so am quite familiar with the way you could expect to be treated if you questioned a superior 🙂 Great quip about the Vorspiel too; I will remember that for later use! I was in Berlin too, my Battalion was there 1978-80, I joined half way through that tour out of the depot. Battalion was in Brooke Barracks and for part of us in Smuts, Spandau Prison with Rudolph still alive was in between. Whilst I am not the only Ex Brit to have been in Norwegian Army, I meet two others during my time. I think they changed the rules after me and you can no longer get in, I asked to go in better than being unemployed and I wanted to go to Lebanon, they were not used to people asking to go in normally a lot of Norwegian kids try and get out of it……..
Been living in Norway since Xmas ’97, and I think you did quite a nice job in summing up the whole experience! Albeit I am originally from the Netherlands, not from the UK, it all does sound very familiar! Hi Evert, glad you liked the post and that I managed to cover a lot of stuff you agree with. Your list there was very good too; I will be writing a follow-up piece to this article in the near future and will be sure to include some of your points as well. I’m a fellow ex-pat who’s been living far North in the frozen wastes of Hammerfest for roughly two and a half years now. Really liked this article as pretty much all of it can be related to my own experiences, even in a much smaller community, so I had to comment. One thing that I have found incredibly enchanting about “small town Norwegian life”,especially when compared to London Borough life, is that it’s almost impossible to have a walk around town without running into someone you know. Quite a refreshing change from walking the streets of London staring almost exclusively at ones feet. Not too sure if it’s the same in the slightly larger towns, but I have spent a fair amount of time in Tromsø with my girlfriend and she always seems to run into an aquaintance when we’ve been out and about. So thanks for the article Andy, put a smile on my face and was great to hear of another fellow foreigner’s tales in Norge. Quick question, have you ever had the desire to move back? Hah! Good write up and insanely accurate. I have lived in Trondheim for around six years now and read most of the above whilst nodding and smiling. Talking about food, I used to cook for Three Lions and did a St Georges week there once, Toad in the Hole was popular as hell but the Bread and Butter pudding was seen as plain odd by the Norwegians and gobbled up by the ex pats, lol. We should go for a beer sometime! Den Gode Nabo sounds like a plan, either there or Mikrobryggeriet. Your name rings bells btw, Dougie often mentioned an Andy so maybe that was you, if it was then yes, we have met. Oh so you’re a Croydon boy? Poor you! 😉 Well as some friendly advice from one Brit to another, those who come from the district of Finnmark are extremely liberal in their use of colourful language. So if someone calls you a “jævla hest kuk!” they’re probably just saying hello! So if you find yourself travelling up here then try not to take too much offence 😛 But I guess you’ve heard plenty a story about the slightly coarser folk ambling around in the Northern parts of Norway. Thanks for your comments Laurie, that’s true about queueing – at my daughter’s school they actually refer to the business of waiting in a line for your turn as that of being in an “english queue”. Given the confusion between English and British I think it’s safe to assume they mean “British” here, as the Scots are equally polite 🙂 Warm floors are great too – when we had our house built we actually had underfloor heating put in all over the house, which is wonderful in the winter. And I like your positive spin on spending your golden years in a Norwegian care home! Oh man, you can have my lifetime supply of that brown goo they call cheese here. Many good things here, no doubt, and I really enjoyed your post! Thanks Andrew it was great to be included. Am working hard on articles for the next carnival! Learning a new language might be a bit of a challenge but its very rewarding. It’s indeed a wonderful achievement. Id say you got Norwegians pegged, hands down. I belive you vrote something about a follow up? I will be watching for that for sure. Hi Jon Harald and thanks for the response – glad you liked the article! Yes, I’ll be putting out a follow up article before too long, so keep an eye on the website for an update! You can actually get to like the brown cheese…? I’m not so sure about that, but hey, I only have two years under my belt. The social security system in general is great as well, as a (fairly) new mom I have truly enjoyed the loooong maternity leave! It was great to see you at the TBU in Porto, maybe we’ll meet again in WTM in London! Haha, yes maybe you need to give it a few more years! It’s (really) very good with jam on top, have you tried that? 🙂 Anyway my tastes may be a little extreme given all those years in Africa; that’s probably why I like it…yup I shall be at WTM (any excuse to get to London at the time of the James Bond film, even if I’m seeing it first here it’ll be better at the IMAX on a screen the size of 5 double decker buses…) so see you there! There is a lot of truth in this article – very funny, and honest – Norway does have a lot of good points. 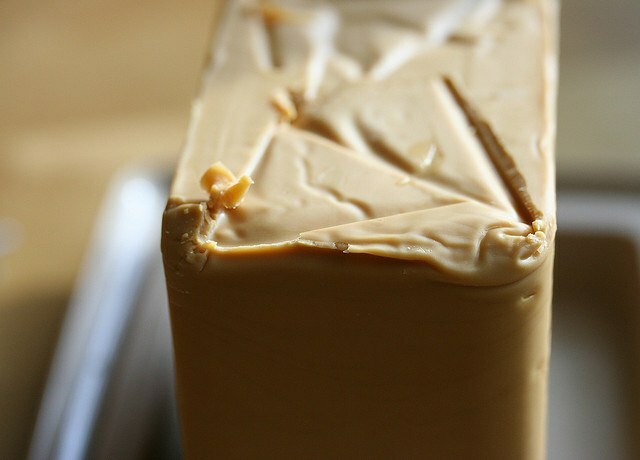 I have to defend brown cheese – the trick is to eat it on hot toast, and avoid the 100% goat’s milk version. Do you have a pair of matching stressless chairs to watch tv? Regarding the diagonal street crossings – they have them in Tromsø as well, but only ones “owned” by the city council! Crossings maintained by the county council (Troms) are not as forward thinking. The weird thing is there are examples of both on the same street. The stressless chairs question is brilliant. We have 2, of course. As for brown cheese – ever tried it with hot lime pickle? Thank you so much for this post. It made me laugh. So true. I’ve lived here 7 years and still can’t get completely used to it. I miss the UK terribly, but I have to admit the pay is better here and so are the state schools. It is lovely to hear the views of others in the same situation. It makes me be a bit more upbeat about living here. I have the language now, but there is no way in hell I’m ever going to actually “enjoy” Norwegian food: Pinekjøtt and Ribbe? Is that the best they can come up with for Christmas? Will look forward to the follow up. If it’s any help, Natalia, I came from UK in 1979 thinking 2-3 years. I’ve since moved to Italy and come back, moved to the US and come back, and now I’ve understood it – I was just unbelievably lucky when I decided to emigrate to Norway, and I’m not going anywhere else. I don’t miss UK at all. Of course, you have to go “native” 🙂 Speaking the language is a must, as it is in any country. If you’re somewhere with real winter then using some kind of sliding plank is a really good plan – I started snowboarding at 50, so age is no excuse! Now that we can get Branston pickle locally things are getting close to perfect – though we all, including my Norwegian wife and the children, prefer turkey at Christmas! And I agree, Andy’s blog and the odd new comment that appears once in a while are great amusement. PS If you’re anywhere near Kongsberg I’ll teach you to snowboard if you like, I took an instructor’s course entirely with friends and colleagues in mind. It’s great fun. Thank you for your message Pete. I just saw it! Clearly not good at checking my emails. Sorry. Learning to ski is definitely on my list, so I will definitely think about snowboarding, although I’m in Oslo, so maybe difficult to go to Kongsberg for lessons. But thank you!! I sometimes enjoy it a lot here. Particularly in the summer. The winter gets me so down though that I take vitamin D in huge doses and plan my move back to England. By the time summer arrives I drop my plans completely. And every year I go through the same cycle. You have to tell me where on earth (in Norway) can I find Branston Pickle????? I found Christmas pudding in Oslo which made my Christmas, but have yet to find mince pies …and marmite, even though I don’t like it. I think that while the kids are small I can make an effort to stay here but I just can’t see myself growing old here. Where from England are you from and do you go to visit? Are you ever tempted to move back? It’s true this is a great blog and keeps your spirits up. Instant reply, courtesy of our permanently connected smart phones. Dan’s right, Meny has Branston (and a bitter orange marmelade, Fru Bennetts, which is good). But I can get Branston at ICA as well, original or small chunk! Marmite is trickier – it came in for a while, but then disappeared again. It was banned in Denmark, believe it or not, because it had too much of some vitamin, and I guess the importers probably gave up Norway as well. One of our good friends here in Kongsberg makes fantastic mince pies at Christmas, I’ll ask her about suet, though I fear it will have been imported as they are back and forth to UK quite a bit. I’m another Englishman and have lived in Trondheim for just over a year, it is a great place with great people but I’ve had a rough time finding work. Admittedly since language courses stopped being free (I’m told they once were), I’m not able to speak Norsk fluently, but I think it’s more than that, it just feels that there is some bias. I mean I can fully appreciate looking after your own, but when you want (and need) to integrate and just become part of the family it doesn’t make life easy to face one job rejection after another, or for the most part not even receive a reply. Facing the price shock when you arrive here is one thing, but then not having any income to survive in it; is another (there is no dole money here unless you’ve earned something like 150,000kr in the previous year) so to me there are some vicious circles you can get caught up in. I wouldn’t advise anyone to come here (to stay) without first having a solid job offer, or unless you have enough money to sustain yourself completely for an extended period of time. No I’m certainly not advocating coming to Norway and being able to find work easily, after all Norway has one of the lowest unemployment rates in Europe so that’s something to consider. Also the same is true wherever you go – no country gives you money while you’re looking for work unless you’ve paid in before – a Norwegian trying the same in the UK would have the same problem. Or even a Brit after a few years – I got nothing after being away over 3 years. But if you can sort a job first it’s pretty unbeatable. Yes it was great when language courses were free (I benefitted from that) but linguistic ability isn’t the main problem, it’s the number of highly qualified locals looking for work with you. Where I worked in the restaurant business we had people who barely spoke Norwegian but they learned fast and earned well. I guess it depends what you are after though. Best of luck with it, you’ve done really well to have been here over a year without work. I feel exited to see Norway when I read this blogs but on the back of my mind I feel frighten. I got my temporary residency visa to learn Norwegian language, actually I have limited budget for my study so I need to find a job as early as possible. one thing that frightens me is this question ” what would be my life in Norway ?”. now, i’m starting to review some Norwegian language but it’s quiet hard and sometimes I feel upset because on how effort i’m dealing with this , still can’t learn easily..i have read that there are institution offering free study of Norwegian language, that would be nice to lessen my expenses..
Coming from another EU or EØS country, having worked before and being entitled to unemployment pay already, I am quite sure you can bring that entitlement with you to another EU/EØS country – like Norway. Maybe for only three months while looking for work in that other country. Check with NAV. Of course you cannot travel from country to country drawing unemployment pay. But when working legally in Norway, you build up rights quite fast. Some would say too fast. But earning NOK 150 thou one year will give you too little to live for as unemployed. Hi Olav and thanks for your comments. I want to come to Norway for learning Norwegian. Because i want to have postgraduate education . What they had told me was i had to learn Norwegian first. And i have to pass Bergen test. Do You have an idea how long does it take to go on course to have Bergen Test? Do the language courses help for finding a place to stay? Or how how can i find a place to stay during attending a language course? Do You know about good language courses? I am 23 and i have just completed my Bachelor’s degree and i have lived in Denmark for 9 months. I would like to learn Norwegian! Do you think that study it alone it is possible? If i have a degree and i get to learn the language sufficiently do you think it’s possible to find a simple job in Norway? I enjoyed this article! After 2 weeks online searching information about immigration laws, jobs in norway, sending c.v’s everywhere , it was the perfect break for me . I realize this post is sort of old, but I found it and just had to comment, because I was so extremely surprised that brown cheese clearly isn’t a hit with foreigners! I love brown cheese. Whenever I’m away from Norway I miss it a lot, the sweetness of it, almost a meal in itself – you can eat the cheese alone or on bread or waffles. I’ve always loved brown cheese and am a bit curious as to what people don’t like about it as that’s hard to understand by me. It just tastes good. 😛 And it should be said that I generally don’t like very many cheeses, for instance your regular “white” cheese such as Jarlsberg or Norvegia. Great blog, had fun reading that. I found this website when looking for “Branston pickle in Norway” via Google! Right…. I’m off to Meny to find some Branston!